What exactly causes clogged drains and plumbing problems in general? Do you have any clogged drains? Chances are, you probably don’t pay any attention to your plumbing system until you encounter some disgusting problem that takes entirely too long to resolve. What exactly causes clogged drains and plumbing blockages in general? Knowledge and prevention are your best bets for avoiding issues with your pipes. How Do Drain Systems Work? A drain system connects all of the plumbing fixtures in your home or business to a central line. This central line leads back to the sewer system, which in turn run back to sewage treatment plants. Drains are vital components of sinks, toilets, tubs, and washing machines – any source of water you can find in your home. Sinks are simple mechanisms, with a trap and a pipe connecting it back to the drain and the sewer line. But even simple devices can run into complicated and frustrating problems. Clogs can affect the plumbing, and can also block the traps set into sinks and toilets, which all lead to clogged drains. It really doesn’t take too much to clog a drain or a pipe. Buildups of debris or gunk can cause clogs. Imagine you are washing the dishes and you didn’t scrape the remains of your last meal into the trash before you started. Maybe you thought the food disposal could take care of it. In any case, food can block a kitchen sink drain. In the bathroom, clusters of hair and soap can cause the pipes to clog up. Toilets are even easier to jam – maybe you’ve used too much toilet paper, or you’ve flushed something that shouldn’t be flushed. How Can I Identify Plumbing Problems? Sinks or tubs that take awhile to fully drain: If a sink or tub drains too slowly, it’s your first sign something is wrong. The pipe might be too blocked by grime or debris, or there could be another problem deeper down the line. Bad smells: If you detect an awful smell, it could be the second indication of a slow drain. Spoiled food might have gotten stuck in the sink or the drain. Sometimes, rodent infiltration somewhere else in the drainage system can cause the smell too. Drains that make unsettling noises: Weird noises coming from your pipes can indicate pockets of air are trapped.Drain cleaning products should clear this up, but you may also need professional plumbers with specialized tools to help you. 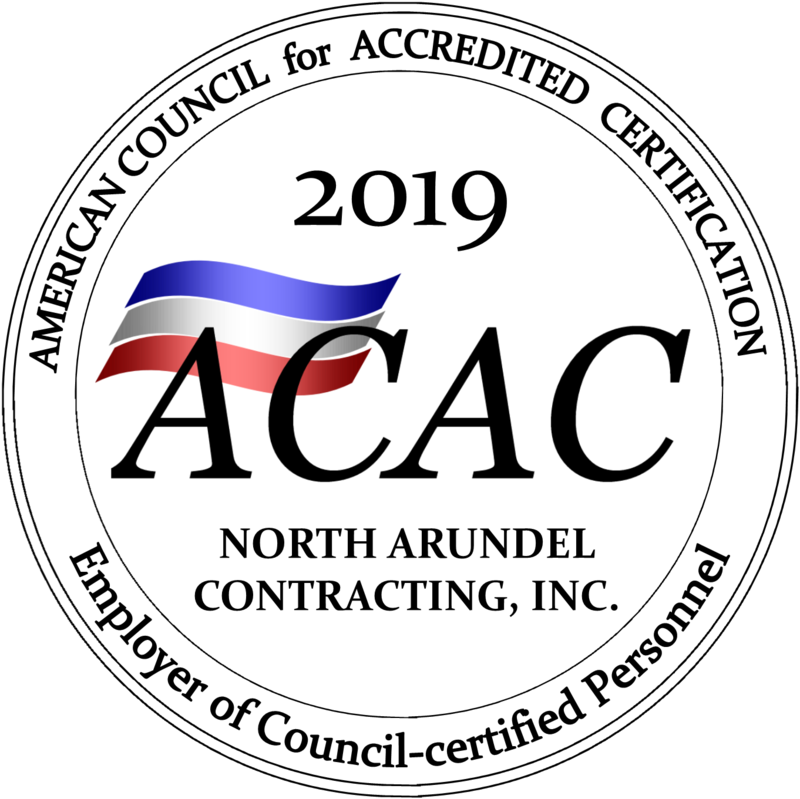 FIX PLUMBING PROBLEMS WITH NORTH ARUNDEL CONTRACTING! This entry was posted on Friday, August 4th, 2017 at 10:52 am. Both comments and pings are currently closed.